Comfortable armchair with average height, perfect for a Cocktail in a communicative round. The average height of Leya Cocktail Lounge Chair makes the perfect complement to the Leya Lounge Couch. Here, the Cocktail Lounge Chair is particularly delicate and in its size moving in between the regular Leya Chair and the Leya Lounge Chair - perfect for a cocktail in communicative round. 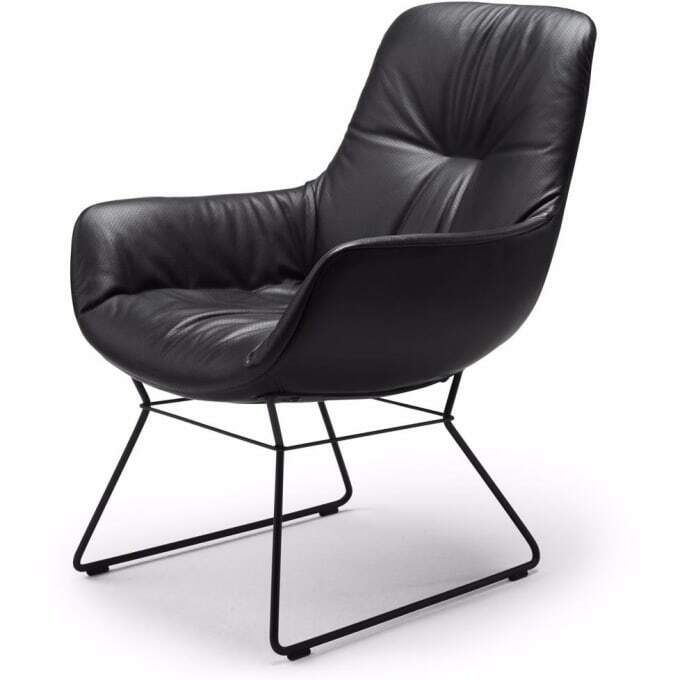 The Leya Cocktail Lounge Chair is available in the here offered model with wire frame and a rotatable x-base. Do you have a question about "Leya Cocktail Lounge Chair (sled base)"? How can we contact you?